V.J. Smith has been a professional speaker for more than a decade. He is also a published author. 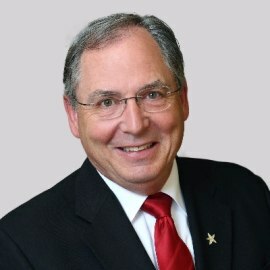 A 1978 graduate of South Dakota State University, Smith spent the decade of the 1980s working for the Allied Signal Aerospace Company in Kansas City, MO. He returned to his alma mater in 1990 to serve as Assistant Athletic Director for the SDSU athletic program. He was appointed Executive Director of the SDSU Alumni Association in 1996 and resigned from that position in January 2007 due to the overwhelming requests for speaking appearances.